Languages are repositories of local knowledge and traditional wisdom. The worth of a language is neither measured by the number of alphabets or words it has, nor by its grammatical niceties. It is valued for its ability to convey a distinct way of thinking that’s tethered to culture. India has reportedly lost one-fifth of its languages in the past five decades. As globalisation held sway over the world, communities, which used to live in relative isolation, sought access to wider world. In the process, it parted with its own language and adopted a new lingua franca. While a certain school of thought rues the demise of local languages, there are revival movements that have emerged across the world, especially in India. Almost every few months we get reports announcing the death of the last speaker of some language or the other. According to one estimate, 6 per cent of the world's languages today are spoken by 95 per cent of the world's population. Now a survey points out that India has lost a fifth of its languages in the past five decades. 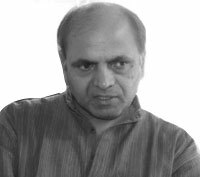 The two year-long survey by the Vadodara-based Bhasha Research and Publication Centre revealed “that the country had 1,100 languages in 1961, but nearly 220 of them have disappeared.” Sociolinguist Ganesh Devy, writer and lead co-ordinator of the survey, believes most of the lost languages belonged to nomadic communities scattered across the country. 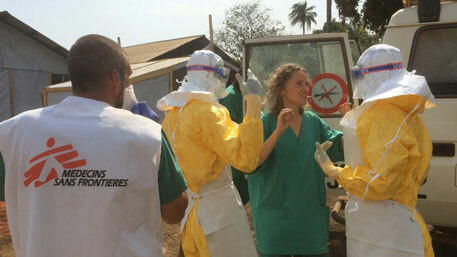 “Were they alive, they would have been spoken by three to four per cent—around 50 million people,” Devy told the media. There is a school of thought that believes that as globalisation sweeps the world, it is natural that communities that had earlier lived in relative isolation will seek interaction with the wider world. In the process, many of these communities might stop using their languages. Linguistic diversity might be an unhappy casualty of globalisation. Why fight this tide? One variant of this argument holds that as cultures evolve, groups naturally shift their language use. So asking communities to hold on to languages they no longer want is more an academic concern rather than a practical one. Another stream of argument against linguistic diversity holds that communities are best served by a language which can be used to communicate intelligibly with the greatest number of people. So the fewer the number of languages, the fewer the chances for misunderstanding one another. The loss of language, however, does not merely mean the loss of a mode of communication. It's not just about the loss of a few thousand words. Languages are not simply a collection of words put into order by grammar and syntax. In many ways, languages are like living organisms that express the associations we forge. Languages exist not only for the purposes of practical communication; they convey a linguistic community’s entire mode of thinking and its culture. So when a language dies a way of thinking dies with it. Each language is like a code that describes knowledge about medicinal secrets, ecological wisdom, weather and climate patterns, spiritual attitudes, and artistic and mythological histories. The Tulu language, for example, spoken by a little more than a million people preserves epic poems of the 13th century. The loss of its script then is akin to the loss of a key that could have been used to unlock a treasure trove of knowledge. But then evolution and change in languages is a part of history. Most of the languages spoken today would be scarcely recogniseable from what they were a few thousand or maybe even a few hundred years ago. The English that we use today is very different from what it was at the beginning of the Christian era. It's in fact different from even the language Shakespeare used. True. But a large number of languages whose extinction we lament never had a written tradition. The last speakers of these languages were not just repositories of their culture, they were also our last links to a school of ecological wisdom. Many folk taxonomies, for instance, challenge our assumptions about species categorisation. The linguist K David Harrison, for example, has written on the ways in which the Wayampi people in Amazonia classify birds according to the competition they offer for fruit; as a result, a falcon is put in the same group as toucans. Most nomadic communities in India—and elsewhere—have a complex vocabulary to describe their livestock. Harrison puts it aptly, “To allow languages to become extinct—along with the culture and ecologies that they encode—is to risk an erosion of knowledge whose value, once lost, we can never quantify. Till recently, tea tribes in Assam did not know what grammar was. Most of them went to Assamese-medium schools, and were expected to forget their own mother tongue, till Peoples Linguistic Survey of India (PLSI) linguist and researcher, Ambeshwar Gogoi, started visiting these tribes near Doom Dooma and other tea towns in Upper Assam in 2011. The linguistic survey was carried out across India and the survey report was released in Delhi last week in 50 volumes. “It was fascinating to see some of the tea tribes ‘discovering' their own grammar and correcting an outsider, urging him to pronounce properly,” says Gogoi. The authors, Bibha Bharali and Banani Chakravarty, who released the PLSI's Assamese edition in New Delhi last week, are excited that culturally the north-eastern state looks even more pluralistic than earlier with 55 different languages being spoken in the state. But at the same time they rue the infiltration of Assamese words into languages spoken by some of the tribal minorities. “It is nevertheless very interesting,” says Bharali. The researchers found that almost all the languages spoken in Nagaland were spoken in Assam. “It was not surprising for the residents of Jorhat or Sivasagar but when I found five Naga families staying in Sivasagar for generations speaking Konyak, I began to get even more curious,” says Gogoi. Assamese, which was recognised as a scheduled language after a long struggle in 1960s, has now subsumed many smaller languages in the state. “Sonowal, Mowron and Motok, all a part of Indo Burmese groups, have no speakers left. The newer generations, mostly belonging to sub-groups of larger Kachari group, cannot even utter a word of their mother tongue. Some speak Karbi, those in Upper Assam, speak Assamese,” says Gogoi. Similarly, Apatani language spoken in Arunachal would be different from Apatani spoken in Assam and infusion of Assamese words into such small languages are happening really fast, says Gogoi, which is a worrisome trend. Chakravarty explains that even during the pre-independence days and later in the 1960s before Assamese was included in the 8th Schedule of the Constitution, the speakers of the language wanted more and more people so that official language for communication could be Assamese, which was preferred over any other Indo-Aryan language. “This led to the imposition of Assamese as a language over several linguistic minorities, who eventually lost their languages over the last few years,” says Gogoi. It may appear strange, but the dominant Ahoms, believed to have migrated from parts of upper Cambodia in the medieval age to Assam, have had to give in to Assamese. “Most of the Ahoms now do not speak Tai except during their ceremonies such as wedding or funerals. The language has a ritualistic value now,” says Gogoi. On the other hand, large scale infusion of Assamese words into smaller languages has been met with revival movements. Often clubbed together as “Koch-Rajbangshi”, PLSI has revealed an important aspect which could help the community in asserting their rights. “We found through the participation of the native speakers that Koch spoke Kochkar, which follows an entirely different linguistic structure. Rajbangshi, on the other hand, has a very different structure,” says Gogoi. Bharali, who has worked with Koch community found that over the past few years, the community in its struggle to achieve a Scheduled Tribe status, has published several books on its language. “We could see that both the communities, owing to the pressure from the mainstream Assamese society, have revived their languages,” says Bharali. Shubhranshu Choudhary is a journalist and is currently working on a Democratisation of Media project in Central Tribal India. In the course of his work he has developed world's first Community Radio on Mobile phone called CGNet Swara. Choudhary was BBC South Asia producer for more than 10 years. He is winner of Google Digital Activism award 2014. Motiravan Kangali is a retired bank employee, based in Nagpur. He has been actively involved with the political movements of the Gond tribal community in central India and is a well-known writer of popular books on Gondi language, script, culture, folk tales and history. Shubhranshu : Gondi is spoken in six Indian states—Madhya Pradesh, Maharashtra, Chhattisgarh, Andhra Pradesh, Telangana and Odisha—by around 5 million people. It is one of the major languages spoken in the adivasi areas in Central India. It is also the lingua-franca of Maoist movement in Central India today. Majority of foot soldiers of Maoist movement are Gondi speakers. The 1991 and 2001 censuses put the figure of Gondi language speakers at 2.1 and 2.7 million respectively. But there is a big area of Gondi speakers under Maoist control where no census is taking place, practically. So we feel that the realistic number should be higher than government figures. Now, the language is spoken differently in all six states and the influence of local languages is high. We have variations like Telugu-Gondi, Marathi-Gondi and Hindi-Gondi. Even within the same state like in north Bastar and south Bastar areas in Chhattisgarh state, Gondi is spoken differently. This is nothing unusual – all languages have different dialects, and different words are used to signify the same thing. But most languages spoken by large groups also have their standardised versions, which are used by media and in official work, and which are understood by most speakers of the language. Unfortunately, Gondi does not have such a standardised version since no effort was made in this direction earlier. 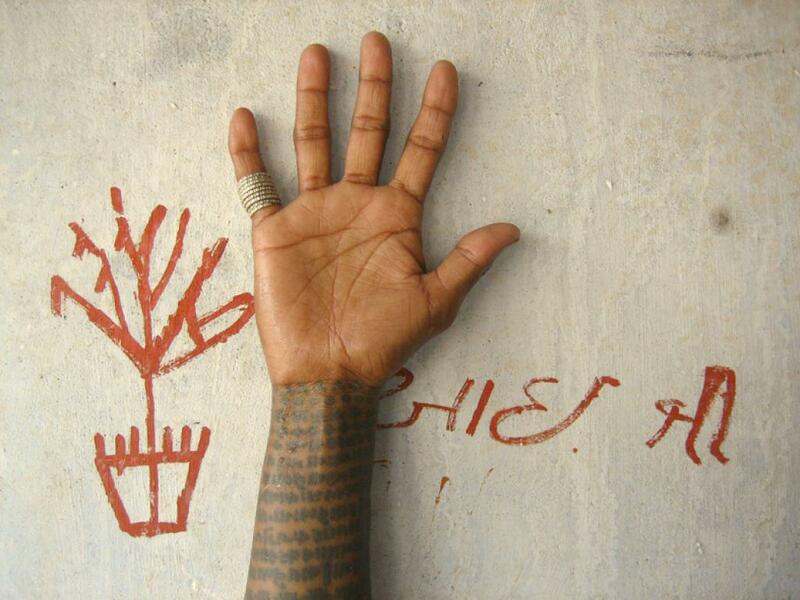 Motiravan : Most people in the Gond tribal community know and use Gondi in their day-to-day spoken use. In the rural areas, Gondi is usually the first language of people born in the Gond community. For many years, its use had declined due to lack of government support, especially in urban areas – people had an inferiority complex about using it, and preferred to use the state language. But in recent years, because of intense work by groups working on Gondi cultural identity, people have started speaking it again. 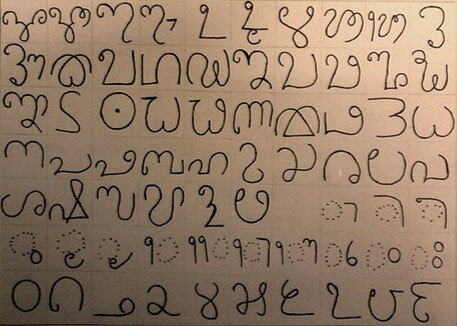 The Gondi script, which was nearly forgotten earlier, has also been resurrected successfully. Today, a lot of educated and urban Gond people use the script for personal correspondence. Books and calendars are also being published in the script. But the absence of a standardised language continues to be a problem. The language is so different, not just from state to state, but from district to district, area to area. Different words are used to signify the same thing. For instance, if a Gondi speaker from Betul tells a speaker from Andhra to sit or go, the other will not be able to understand because the words are different. The script is riddled with the same problem—there are several versions. How does the fact that Gondi is not a scheduled language impact the population? Shubhranshu : As I said, there is a huge and very poor population of Gonds in central India who speak only Gondi. If you go few kilometre off the road in places like south Chhattisgarh you will find a lot of people (especially women) speaking only Gondi. Hindi or other local languages like Marathi are like a foreign language to them – something used by the educated upper class. This, as you can imagine, creates a colossal problem, since the people and the administration can’t communicate with each other. In the Maoist belt of central India, it will be virtually impossible to find a single journalist, government official, teacher or anyone at all who can speak the language the people use. There is no education in Gondi either. I visited a school in Bastar bordering Andhra Pradesh and the headmaster told me that none of the teachers spoke Gondi and none of the students spoke Hindi. The system is totally out of touch with the aspirations of a large community. Is it surprising that phenomena like Maoism are manifesting? Motiravan: In 1965, when Babu Jagjeevan Ram was the home minister, and the states in the country were being reorganised, there was a demand for a Gondwana state in Central India. The demand was turned down on the plea that Gondwana did not have a language or script to unify it, the basic premise being that states were being organised on the basis of language. We felt the argument was unfair, because Madhya Pradesh state also did not have a separate language of its own. However, there is a strong feeling among tribal political and cultural groups that if we had worked to develop the language earlier, we would have got the Gondwana state. Today, the Gond people are scattered across several states with no real cultural identity and cohesion. The majority of the population is impoverished and there is a strong sense of disconnect with cultural roots. When and how did the need for language standardisation present itself? Shubhranshu: We, in CGnetSwara, understand that the problem in central India is fuelled by this lack of communication between lower class adivasis and mainstream India. So we thought of starting a Swara platform in Gondi. But soon we realised that there are many dialects of Gondi in use and many Gondi speakers from different areas do not understand each other. There is a huge influence of languages like Telugu and Marathi/Hindi in the dialects spoken. The idea of Adivasi Swara is to create a platform where all the Gondi speakers can talk to each other. At the moment there is no platform where these people, divided in six states, can talk. This can empower them culturally and politically if they can talk, is the idea behind a common platform and then efforts will be made for a standard Gondi. But they have to be able to understand each other. Motiravan: The work of language revival has been on since 1982-83 when the Adivasi Vidyarthi Sangh was formed to work specifically on issues of Gondi identity. Gradually, this awareness came that words used to signify the same thing varied from one place to another. Today, there are a lot of books written on Gondi language, script and grammar. I have myself written several, including a compilation of Gondi grammar. But the books I have written are applicable only to the language spoken around Nagpur and Ramtek, which is not influenced much by Marathi. Travel to Betul in Madhya Pradesh, and there is not just the influence of Hindi, but the words themselves are different. Travel to Pune and the influence of Marathi is much higher. The need for standardisation was not felt to that extent earlier because not many were using the language except to speak to their family members or within the immediate community. But now that there are larger networks within the community, and there is an aspiration to take the use of the language further, the need for standardisation is also being felt. What is standardisation of language? How is it done? What are you planning? Shubhranshu: At Swara, we don’t know much about standardisation apart from what we have read on Internet. We understand that languages like Hindi, Dutch and Italian have gone through the process of standardisation but the effort was undertaken by the respective governments. And we feel that government should take lead here too, since it is a mammoth job. We organised a workshop on Gondi language standardisation in Delhi from July 21 to 25. The initiative was supported by the Ministry of Culture, Government of India. During the workshop, we made small teams of Gondi speakers from six states and requested them to go word by word and decide among them which word they would like in the standard Gondi. There are two or three Gondi scripts in circulation. They also need to decide which one they want to go forward with. We hope to meet again at Indira Gandhi National Tribal University, Amarkantak, Madhya Pradesh to thrash out these problems and develop a dictionary of standard Gondi. Motiravan: Standardisation can be a mammoth job involving years of intensive work by large groups of scholars. This work has been done for other languages in India, but the Ministry of Human Resources has never made a proposal for standardisation of Gondi or its inclusion among the scheduled languages. The first such proposal was sent by me in 2013, and I am yet to receive a reply. I strongly feel that government will have to lead any standardisation effort because the work is beyond the scope of any single group. How long do you think it will take for the standardised language to reach a reasonable section of the entire Gondi population in the country? What are you planning in the direction of popularising the standardised language? Shubhranshu: It will take a long time. But we are enthused with the response of the community leaders who are taking a lot of interest in the process and are also coming to the workshop. If community leaders can take the word to community in their traditional way, it may be faster. Motiravan: Among educated Gonds, both in urban and rural areas, there is good awareness about the use of the language now, thanks to years of awareness-building work by various groups. If the requisite tools for learning the standardised language are made available – say dictionaries and books on grammar and script—this particular section is likely to pick it up fast. And from them it will percolate to the rest of the community. In what other ways can the Gondi speaking people of India benefit from the standardization move? Shubhranshu: Today, Gondi speakers are not able to help each other. But with a standard Gondi and a common platform like Swara (we hope there will be many more thereafter), we hope people who are in better situation like Gondi speaking people in Madhya Pradesh, Andhra Pradesh and Telangana will be able to help people in Chhattisgarh and Odisha who are in the middle of a war. Motiravan: There are many benefits. First of all, if a standardised language is available, we can press our long-standing demand for primary education in Gondi. A lot of Gondi-speaking tribal children and youth can get the benefit of education if it is imparted in their mother-tongue. It will also go a long way in bringing the community together, because groups will be able to communicate and share concerns. Finally, it might be a tool for once again pressing our long-standing demand for a Gondwana state. This demand has fallen on the wayside now, and most Gond politico-social groups are not pressing for it. But some tribal leaders, like Hukum Singh Kusre in Madhya Pradesh, are still pursuing the demand for the Mahakaushal region of Madhya Pradesh to be carved out as Gondwana state with Jabalpur as the capital. As I said, a lot of Gond groups are not involved with this demand any more, and even if the entire Gondi-speaking area of central India is not included, even if the state is really very small, it will go a long way in ensuring the security of Gondi tribal culture, identity and autonomy. What are the findings from People Linguistic Survey of India? Unlike a market survey, in which one usually finds data on what age group likes a particular product, a linguistic survey captures the state of the language. There are no findings of that kind. This survey is like a snapshot. You take somebody's photograph, which is different from taking an X-ray image. What a linguistic survey does is to give a correct report on the status of a language. It tells the level of maintenance of a given language. It also tells about the level of danger to a language. The first finding in India is that we have at least 850 languages. Out of this, PLSI has found 780 languages spoken in India. The rest we could not find as we were a small team of 3,000 volunteers, while the exercise was huge. How did you infer the existence of 850 languages? We did not go for languages, we went to the people. We went to meet the communities in various places. We asked them if they speak a language, what is its history, what is the word-stock. It was a kind of community-driven initiative. It means among the population of India, 780 speech communities have stated that they have a language each. Of these 780 languages, how many are endangered? In India there are no set parameters to define the endangerment to a language. There is the UNESCO set of parameters: any language which is spoken by less than 10,000 persons is potentially endangered. Potentially endangered is not the same as endangered. A potentially endangered language can sometimes show up till ten years that it is thriving or on the other hand, it can show signs of declining. Potentially endangered languages are not critically endangered. It is first stage towards endangerment. In 2001, the Census authorities announced names of 122 languages. The list of 2011 roughly had 130 languages. These languages are spoken by more than 10,000 people. That is why the list is declared. The Census does not declare names of languages spoken by less than 10,000 in India. So if we bring UNESCO's classification to Indian Census, then all the languages which are non-declared are potentially endangered. So how many of these languages are potentially endangered? There is no answer to this question. Since 1971, Government of India accepted the policy of declaring only names of languages with 10,000 speakers as a cut off point. So one does not know how many other languages exist in India. One can say that there are some languages which are endangered if one had a baseline. This survey is for the first time awarding a baseline for languages and against this in future, people will be able to approximately determine the life of a language. Without baseline, judging endangerment of a language would mean two points in the chronology of a language. A beginning point is marked when the language is there and the end point when the language is not known to be there. However, without baseline data a comment of endangerment will be near guess work. We can do the guess work on the basis of 1961 Census which counted about 1,100 languages. Out of the 1,100 languages, 850 remain today on the basis of later Census findings. Therefore, defining endangerment has to change in India. Would you agree? Yes. In India, apart from defining endangerment, we should define diversity. Why do we worry about endangerment now when India has great diversity in languages? In the outside world, particularly where English went, it has wiped out local languages. But in India they have survived. In the United States, Canada, New Zealand and Australia local languages have gone. 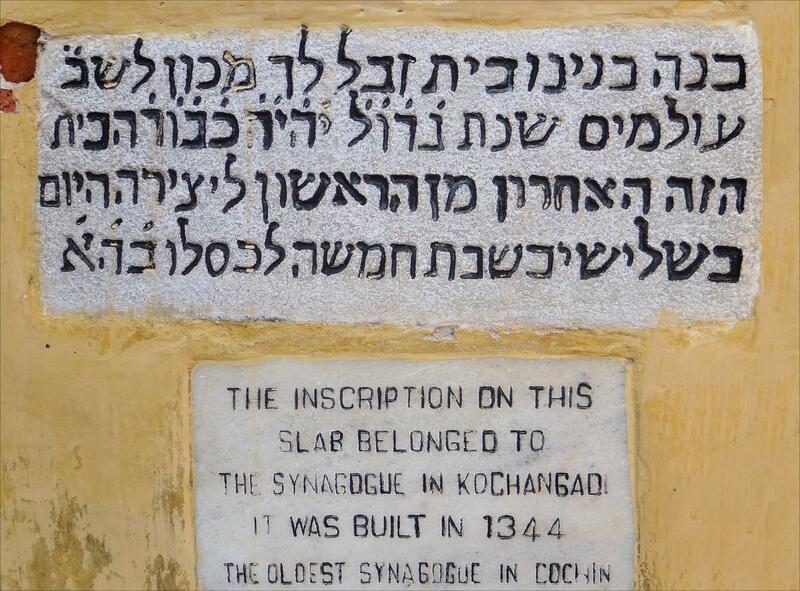 Only in India local languages have remained. Therefore, we have to understand the principle of diversity. How it works, why it works so beautifully rather than the principle of endangerment. In India, we have the habit of appreciating diversity. You have created a volume for coastal languages and coded languages. Why these two categories? Coastal areas were gateways for people coming through sea route. These were trading hubs, where languages evolved in a separate way. These languages were very different what people spoke in the inland areas. Therefore, we classified languages spoken in the coast as separate from the others. Coded languages or codes are spoken between specialised groups. In such categories, we have explored language of various sects, transgender communities, nomads and thieves. Maharashtra reported about seven such coded languages spoken by specialised communities. Many languages are disappearing because of the degradation faced by the people speaking local languages.